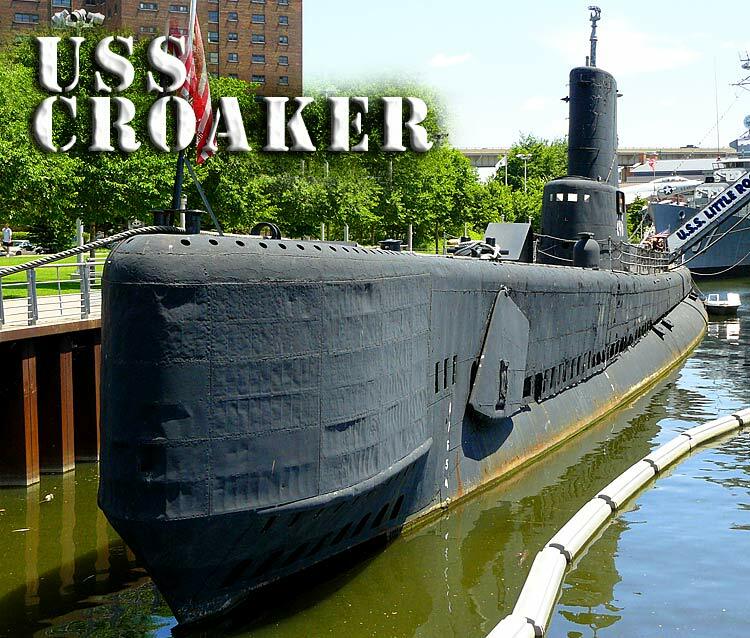 You can visit the Submarine USS Croaker at the Buffalo and Erie County Naval & Military Park on the waterfront in Buffalo, NY. The USS Croaker was originally a WWII Gato class US Fleet submarine serving in the Pacific Theater of Operations. 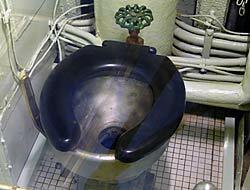 The sub had an impressive war record having sunk 11 Japanese vessels including the cruiser Nagara on August 7, 1944. In its original Gato class configuration the Croaker had 10 21" torpedo tubes, a 3" deck gun, a 40mm Bofors AA gun and a 20mm Oerlikon cannon. In 1953 the submarine was converted to hunter killer configuration with a long range sonar unit taking the place of two forward torpedo tubes, a streamlined sail, snorkel, removal of all deck weapons, and engines and other noise making machinery mounted on rubber mounts. The end result of these changes allowed for higher underwater speed, quieter operation, and better sonar listening capabilities. 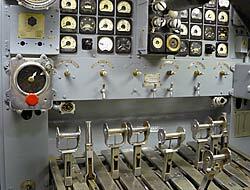 The interior of the submarine is well restored and the compartments are very well done and equipped. 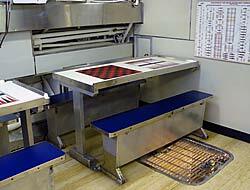 Many of the crew's bunks have been removed and much of the crew's mess tables and seating have also been removed but the rest of the sub seems very complete. The engine room makes up for it as one of the V-16 GM diesels has one bank of cylinder heads and a valve cover off so that visitors can see inside the engine block and the overhead camshaft assemblies. 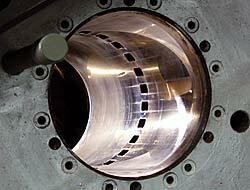 Each individual cylinder displaces more volume than many of today's auto engines. One piston and connecting rod assembly hangs from the ceiling giving a sense of how massive the internal workings of these engines are. I wish I had included something to provide a sense of scale as the photo doesn't t convey just how massive the piston is. 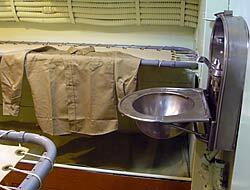 Much of the officer's staterooms and wardroom are partitioned off with plexiglas, but most areas aft of this are fairly accessible. 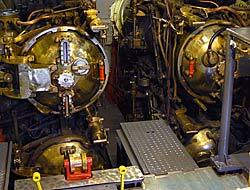 If you have been in any other US WWII Fleet Submarine the first thing you will notice about the forward torpedo room is that the two top torpedo tubes are missing. They had been replaced by a high powered sonar array which allowed it to detect shipping from much greater distances than could previous US subs. 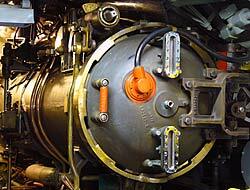 The upper portion of the bow has been enlarged and widened to accommodate the new sonar gear. The control room looks excellent and the level of care and attention to detail the USS Croaker's staff have lavished on it really shows. The conning tower is off limits to visitors, but you can get a fairly good view of the submarine's periscope through the hatch leading up from the control room. Handles on the more critical water and ballast tank valves have been removed or chained to prevent the kiddies from accomplishing what the Imperial Japanese Navy could not. The sub's showers and heads have been very well restored. You will notice how tight they are and that little provision has been made for comfort and safety with both cold and hot water pipes being exposed within the compartments. Fresh water was at a premium so showers were limited to once a week. Here is a link to a Youtube USS Croaker Video that showcases the accomplishments of the museum's dedicated staff member Bob Drummerhouser in the restoration of the submarine as well as a walkthrough of the submarine's interior. 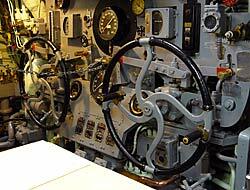 You will really need to make a visit to the museum to truly appreciate the care and workmanship Bob and others have put into restoration of the sub. 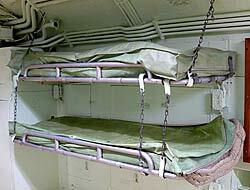 The submarine interior compartments are accessible via stairwells leading down into the forward and aft torpedo rooms. 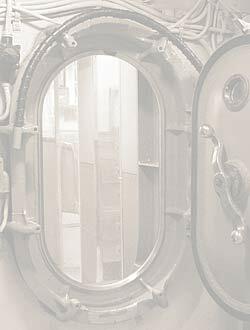 Visitors will need to be able to negotiate stairs as well as step over high thresholds of several watertight doors so the submarine's interior is not handicap accessible. There is no food on site but there is a deli across from the parking lot that made decent sandwiches. Parking was free and a short walk from the museum. Along with the submarine USS Croaker are the WWII destroyer USS The Sullivans and the missile cruiser USS Little Rock so there is plenty to keep the interested visitor occupied for several hours. There is also a museum with a WWII P-39 Airacobra hanging from the ceiling as well as other naval related exhibits. An outdoor display area contains a Trumpy class Patrol Boat, two jet fighters, a Walker Bulldog Tank, a Bell Huey helicopter and other exhibits. 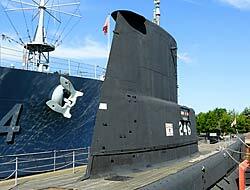 Visit the Buffalo and Erie County Naval & Military Park's website for directions and hours of operation.